The temperatures are rising and I’m wearing a lot more dresses, skirts and shorts. I love it! Soon I’ll be headed to the pool and beach sporting a swim suit, which means revealing even more skin. It’s more important than ever that I have a nice, close shave. 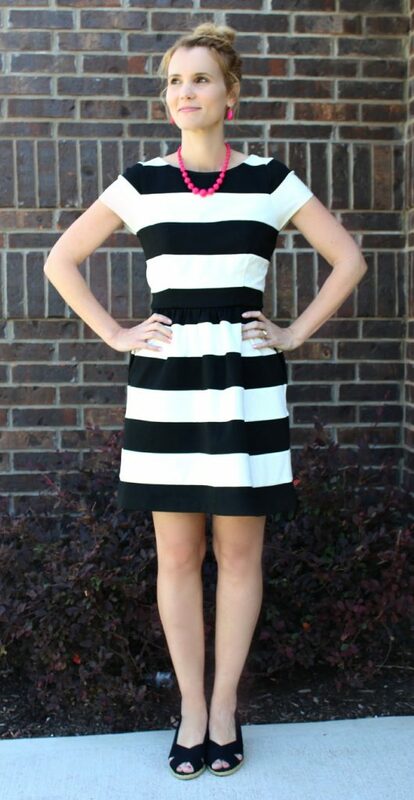 I want my legs to look and feel great in everything, including this gorgeous striped dress! I’m thrilled to tell you about two products today which will give your legs the treatment they deserve. The treatment they have longed for all winter. I’m talking about Whish Shave Crave Shaving Cream and Flawless Ingrown Hair Serum, available in store at Nordstrom and online at Nordstrom.com. I have a soft spot for anything lavender scented. 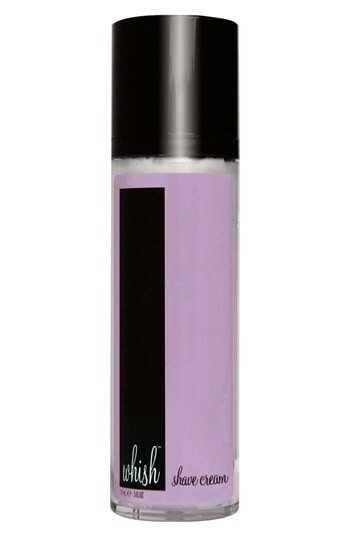 So when I opened the bottle of Whish Shave Crave in lavender, it was love at first – well you know. It smelled amazing. Not only that, but I got one of the closest shaves I’ve ever had and that’s because there are several, okay many, things special about Whish. The formula was created with the power of a man’s shaving cream, but without any harsh chemicals or drying foam. You get a very close shave and very smooth legs – all at the same time. Some of the key ingredients are ones you’ll recognize, which is always a bonus! Ingredients such as Organic Coconut Oil, Organic Green Tea and Organic Shea Butter. There are other scents available like Pomegranate and Coconut. My biggest complaint with shaving has always been the bumps. I’ve tried a lot of different razors to prevent the bumps thinking that would fix it and although it definitely helped, they were still there. I always get them on my thighs. Not only is it annoying but it hurts! I’ve been using the Whish Flawless Ingrown Hair Serum for 7 days and it has made a huge difference in the amount of bumps and the overall smoothness of my skin. This is now a must-have product for me. Whether you shave, wax or get laser hair removal this serum will help to reduce bumps, redness and inflammation. The luxurious Whish Body line is all natural, paraban free, sulfate free, TEA & DEA free, and petrochemical free. Take a look at the entire line on the Nordstrom.com website.